Julie Blume Oeur is the founder and director of Blume Acupuncture & Wellness. 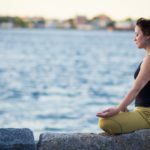 She is a licensed acupuncturist in Massachusetts and graduate of OCOM, the top Oriental Medicine school in the country, where she extensively studied acupuncture theory and practice during OCOM’s four-year intensive graduate degree program. 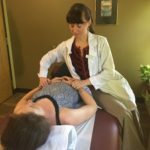 She is trained in Chinese herbal remedies and formula building, shiatsu and tuina massage techniques, qi gong, and nutrition, and has experience treating pain conditions (such as low back, neck, or abdominal pain), headaches, neuropathies, mental emotional imbalances, infertility, and much, much more. Julie is also a yoga teacher with over 300-hours of training in vinyasa and prenatal instruction, an eating psychology coach through the Institute for the Psychology of Eating, and a former professional dancer with the New York City based Parsons Dance Company. Julie understands what it is like to aspire to have your body perform at its optimal level, and wants to help more people—athletes and non-athletes alike—realize this beautiful sensation. Julie cares deeply about her patients and will work hard to help them realize the results of their dreams. “It wasn’t the needles that drew me to Chinese Medicine. Nor the herbs. Nor the moxa, cupping, or gua sha. What drew me to this field was my strong desire to help individuals and communities realize their fullest potential: in health, in strength, and in vitality. 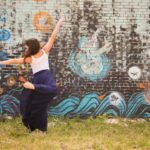 After retiring from my career as a dancer in 2011, I looked into various healing approaches—western and eastern—that would fill this desire in a subsequent career. It soon became clear to me that Chinese Medicine views the body the way I have my entire dance-filled life—as an indivisible and interconnected system. Sitting at the intersection of ancient artistry and modern science, the systemic values and healing potential within Chinese Medicine quickly captured my interest.